Waknaghat: Bahra University, School of Law and Pepperdine University, School of Law, California, have signed a Memorandum of Understanding, to foster cooperation in education and research and to facilitate cultural exchange. 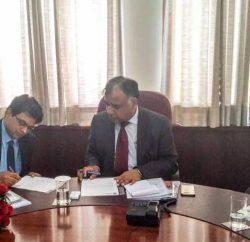 Gurvinder Singh Bahra, Chancellor Bahra University Shimla said the MoU aims at the international mobility of their students, faculty members and staff between their two universities and the development of teaching and research activities between the two universities. In accordance with the MOU besides the faculty and students exchange programmes, both the universities undertake joint research projects and programmes. To educate the students on both the sides, there shall be an exchange of teaching material and resources, including online digital library accessibility. The universities shall provide assistance in finding internships for exchange of students and cooperate in the development of joint teaching methods and projects. 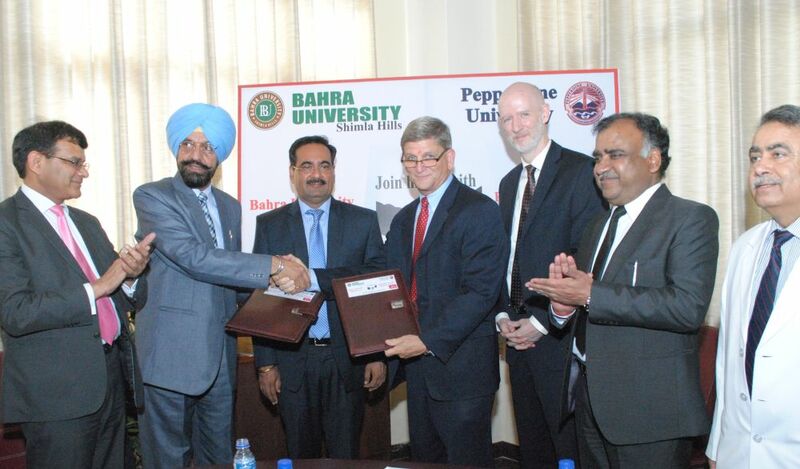 Besides the above, both Bahra University Shimla and Pepperdine University shall assist in organizing visits to companies and international institutions and any other areas that may be mutually agreed upon. 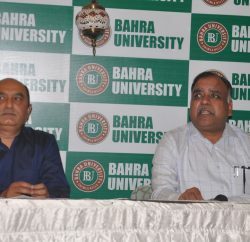 Bahra said that upon the agreement of both Universities, this Memorandum of Understanding can be extended to include other existing partner institutions, so that an effective and comprehensive network of cooperating institutions may be formed. It came into effect immediately after it was signed and would remain in effect for five years after which it could be renewed by mutual consent. 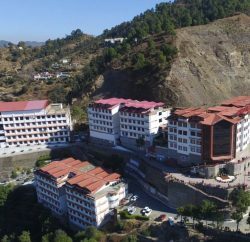 Each university named one academic official who would be responsible for the administration and facilitation of the MOU, AI Sturgeon, Dean, School of Law, California, for Pepperdine University, and Dr Daljit Singh, Vice-Chancellor, for Bahra University Shimla. Dr SK Bansal, Pro Chancellor Bahra University, Prof Peter Robinson, JD Managing Director, Straus Institute for Dispute Resolution and Professor of Law, Pepperdine University, Dr Ravi Manuja, Registrar, Bahra University, and faculty and students of Bahra University were also present on the occasion of signing of the MoU.